More wonderful music from Steve. 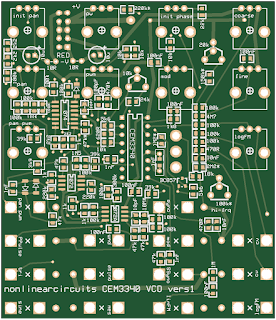 I generally prefer to use generic components for new designs, but couldn't resist making a module for the newly re-released CEM3340 VCO IC. 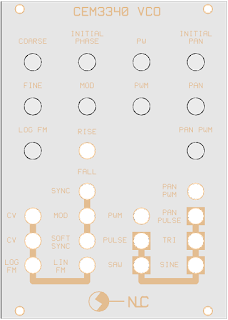 This is very much based on the Aries AR-338 PMS VCO, which features phase modulated sync and a pan-pulse output. 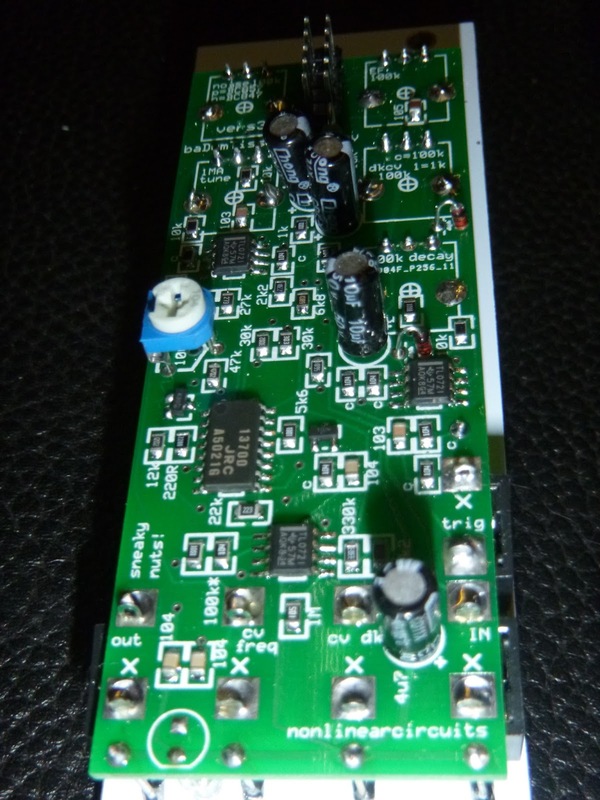 The AR-338 used a SSM2030, so it was not too hard to modify the sub-sections to suit the CEM3340. 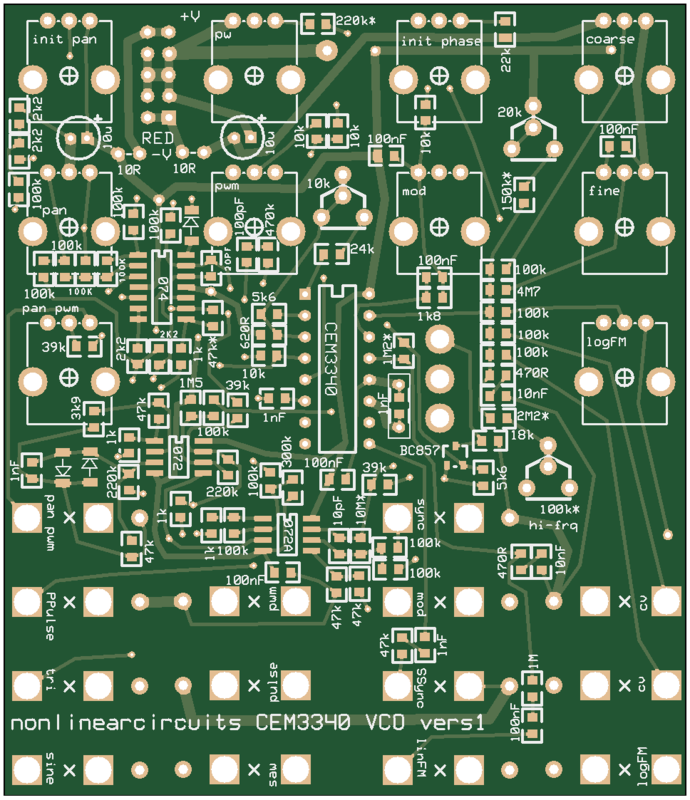 As you can see, for such a feature rich VCO, there are not all that many components. 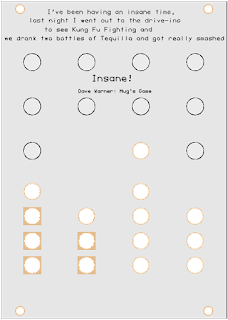 The back of the panel. 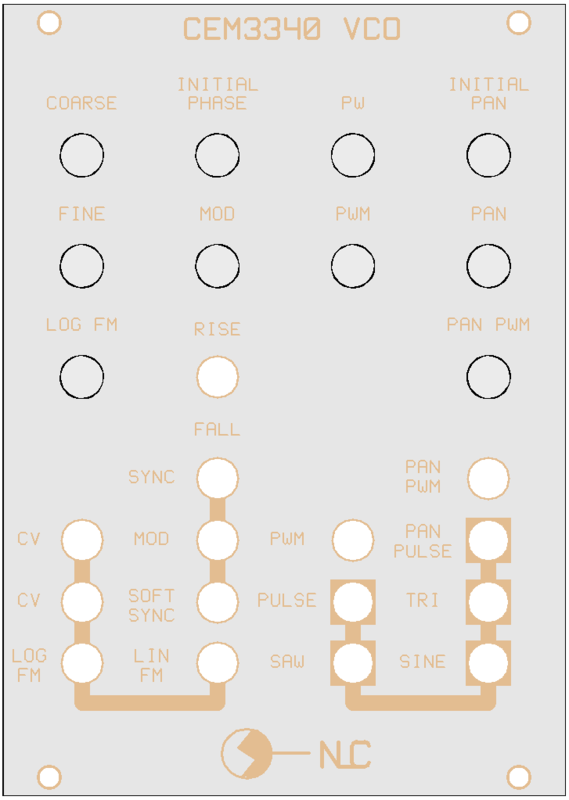 A ring modulator with a phase locked loop to do the modulating! 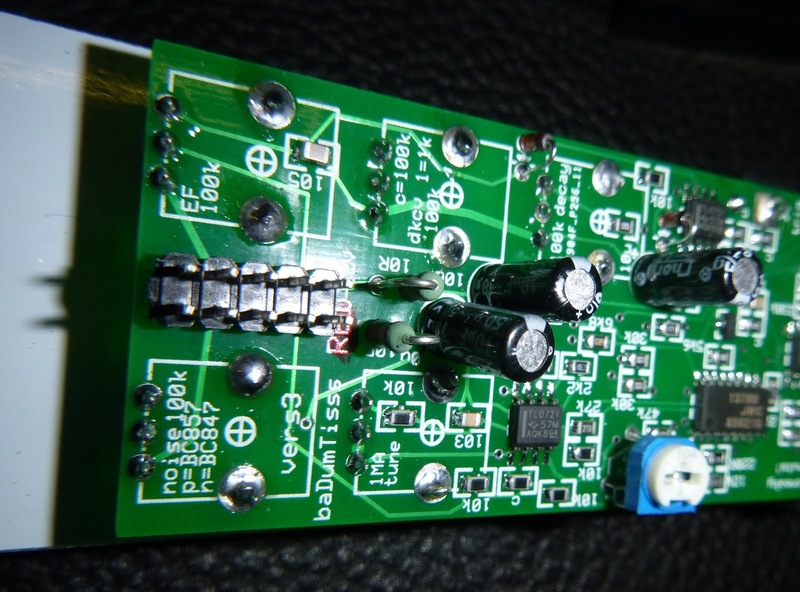 The PLL can be set to lock tightly, loosely or not at all with the incoming signal. What could go wrong? It was going to happen sooner or later. This is the 8bit Cipher from the NLC 4U CMOS panel with an added strobe control, serial data output and built-in loop circuit. 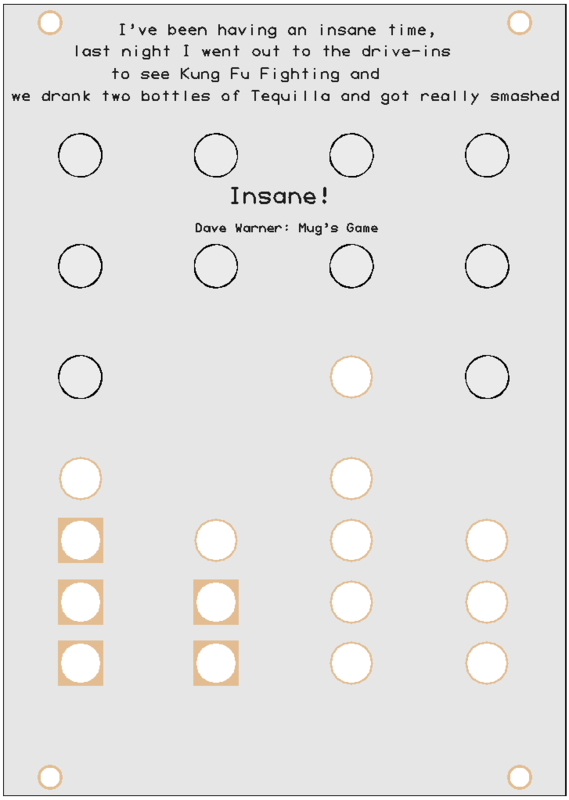 It is based on the Buchla 208 Random but includes 8 stage outputs, 4 CV outputs, the loop output and serial out. If a patch-cable is plugged into strobe the outputs only change when the incoming signal is high, so it acts like a digital sample & hold. 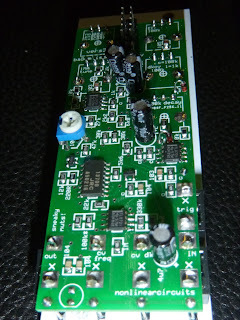 This module is functionally based on one section of the Aries 335 Quad Switch, although the actual circuit is different. It is 1 into 4 or 4 into 1 bi-directional, the routing is controlled by CV and the 4 pots. If no CV is used the pots can be used to simply turn each stage on or off, so no need for toggle switches. If using CV, the pots add weight to the channels, so each one is more or less likely to be on or off. Each pot affects more than one channel, so the relationships are more complex than simple comparators. 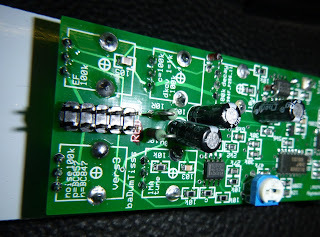 LEDs indicate which channels are active. Recently Australia Post revamped their costs and service, simply put prices have gone up. I am sorry but international shipping for assembled modules is now US$20 per order (1 module or 10 in the order, it stays at US$20). It does mean that all parcels will now have tracking & signed delivery, previously Auspost didn't offer tracking. BadumTisss is a snare/hi-hat module. The core sound of the circuit comes from the ring mod. 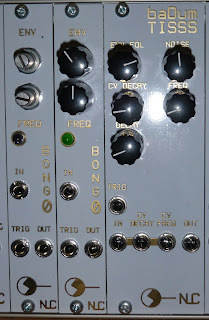 Usually it will process the noise source and the VCO, but feel free to plug in the output from another VCO and get some nice sounds. You can use CV to modulate the VCO frequency (NOT 1/oct) and control the decay time.